I have experienced something very similar in yoga. I generally DO NOT (thankyouverymuch) need props but sometimes our teachers request that we use them and when they do I'm almost always struck but how different, and many times better, the pose feels. I always used to do triangle pose with my hand on the floor instead of my on my shin but I realized when I put my hand on my shin I can align my hips better and it feels SO GOOD. Needless to say I've been doing it that way now. My teachers are always reminding us to leave our egos off the mat, especially when we're doing balancing poses. I've finally gotten to a place where I honestly approach my wobbly days with curiosity and humor instead of frustration and disappointment. It took a lot of work because I too, am a perfectionist and have a mean competitive streak in me. I think one of the lessons I'm most proud to have learned as a mom is to be more accepting of help. I'm better at asking for it and better at accepting it without guilt and judgement of myself. A think if it weren't for the help I accept from family my life would be a lot harder to live. It is only through their help that I find any time for myself. As far as supporting someone instead of beating them at their own game... well I'll have to think more about that. It's funny how you you can even compete with yourself, isn't it? I didn't articulate it here, but that's more of what I felt in yoga previously ... not competition with others, but with myself. I love the phrase "approach my wobbly days with curiosity and humor instead of frustration and disappointment": great life philosophy, too. This is a lesson I need frequent reminders of, so thank you! Most of the time, it seems I would rather fail miserably *all by myself* than succeed with the little bit of help I so rarely ask for. 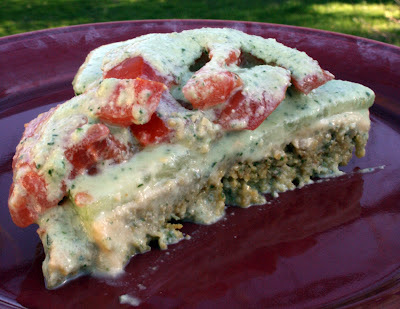 Oh, and I am so making this falafel pie. Yum! The really ironic thing for me is that I'm trying to get my daughter to accept my help as she learns both her abilities and limitations ... and watching her get frustrated is like having an out of body experience, watching myself. You'll have to let me know how the pie turns out for you! In regards to your last post, accepting the body shape is hard because once you come to terms and acceptance it goes and changes on you. Dang you gravity!! I've adopted the "well, heck Boyfriend doesn't complain" attitude and it keeps me pretty happy. In regards to this post, I used to be competitive when I ran cause that's a very independent sport and I'll be honest, relying on others and wanting to win is difficult. Also, if you are on Pinteret lovely lady shoot me an email with your stuff cause I'd love to follow you and your foody genius. We are definitely harder on ourselves than others are on us. :) Cheers for Boyfriend, who has the right glasses on! A. Lot of people repined this recipe on Pinterest after I pinned it! I'm not alone in thinking this looks completely amazing. My teacher does privates, too. I've been coveting a session with her. Glad that you did this for yourself! :) And: let me know if you make it, and how you like it! My sister injures herself every time she does yoga, because she gets competitive and feels the need to overdo everything. Me? I'm the opposite. I give up too early and get in child's pose. Ha! I have a very similar competitive streak. And I also find it very good when I can tell it to "stand down". I don't do yoga because of a back-related injury, but in the days when I did I completely found myself in a non-yoga frame of mind. Which, I realized, really does miss the whole point of it. It's one of the reasons I like swimming...it's one of the few sports where I can tune out (though, not always) what people on either side of me are doing and just get on with it. Never thought of making falafel into a pie. I'll have to give this a try! "How many times have we done this? Refused props, or support, because we want to do it ourselves?" Um, ALL THE TIME. It really is a bad, bad habit and does nothing for me or the people I'm shutting out so that I can do it all by myself. I think I need to grow up a little. Also, falafel pie?! 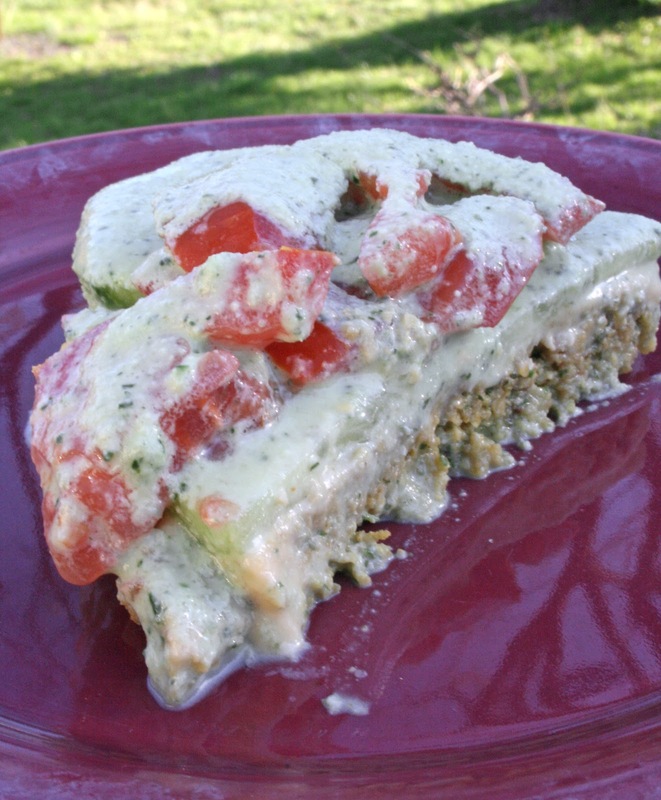 I love falafel and must try it in pie form. Thanks for this idea!